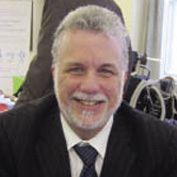 Philippe Couillard, FRCP(C) was Quebec’s Minister of Health and Social Services from 2003 to June 2008. Dr. Couillard received his medical degree and specialization in neurosurgery from the Université de Montréal. A Professor in the Université de Sherbrooke’s Faculty of Medicine from 1996 to 2003, he also served as head surgeon and Director of the Surgery Department at the Centre hospitalier universitaire de Sherbrooke from 2000 to 2003. He is co-founder of a neurosurgery service in Dhahran, Saudi Arabia, where he worked from 1992 to 1996. Prior to that, he was head of the Department of Neurosurgery at St-Luc Hospital in Montreal from 1989 to 1992. He was a partner with Persistence Capital Partners in Montreal. He was also senior fellow at the McGill Research Group on Health and Law, the focal point for interdisciplinary teaching and research in health, law and public policy at McGill.